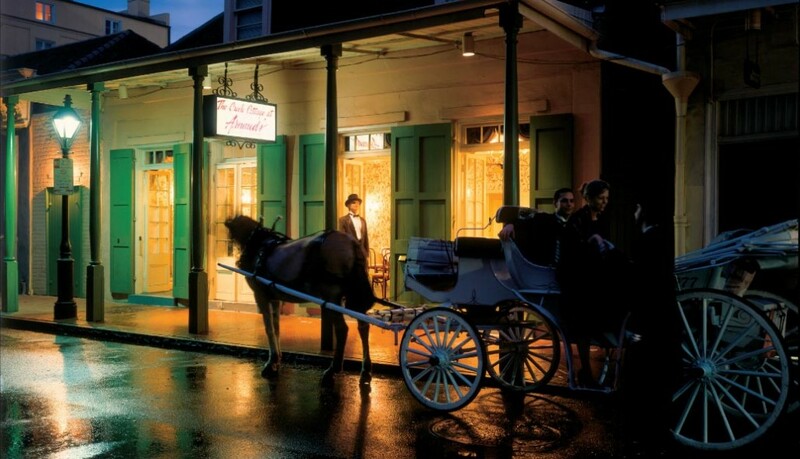 In 1918, Count Arnaud Cazenave, opened the doors to his famous (at times infamous) Arnaud’s on the Rue Bienville in New Orleans. Although he had no actual claim to royalty, he used his self-imposed title to start a restaurant with the goal of serving high quality Creole cooking. But, he was also a man that believed that good food and good cocktails go hand-in-hand. Count Cazenave was unfortunate in opening the doors to his eponymous restaurant one year before The Volstead Act was ratified ushering in the age of Prohibition. During the early 1920s, Arnaud’s was known to continue serving drinks in coffee cups under cover of secret bars within the restaurant. All went well, until the Count was caught by the local authorities, imprisoned, and the restaurant padlocked. This didn’t last long though and he used his charm to get out of the charges during his trial. His fame grew on the story and Arnaud’s became legendary. Throughout the 1940s and 1950s, Arnaud’s Special Cocktail was the signature cocktail of Arnaud’s. This drink, like it’s owner, is bold. It is scotch based with only Dubonnet Rouge and orange bitters added. In appearance and scent, it is much like a Manhattan with subtle cherry and smoke fragrances added. It’s taste however, is completely different than the bourbon-based Manhattan. In our attempts to replicate this venerable libation, we tried two different scotches for the base. 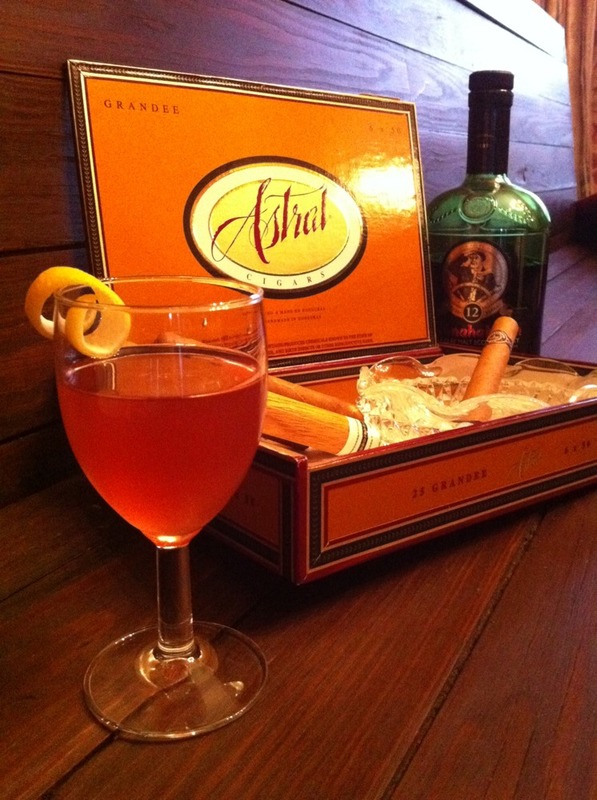 Ted Haight in Vintage Spirits and Forgotten Cocktails suggested using Johnnie Walker Red Label (a blend) for it’s smoky value. As Katruska and I had no blends on hand, we tried The Arran Limited Napoleon Cognac Cask (the Islay region is known for its peaty characteristics) for the the drink. However, since my previous tastings of this scotch in a neat setting had turned out less than satisfactorily, I assumed the worst. Indeed this version was harsh with all the characteristics scotch-haters often list in their reasons for hating scotch: harsh, bitter, etc. We then tried a version with a much better single malt from the Islay region, Bunnahabhain. This version was much superior with a silky texture, delicate smoke, and a hint of cherries and oranges. The drink however is extremely dry with no sweetness whatsoever and is very different from the Blood and Sand scotch-based cocktail we will be trying later in the project. So, give this one a try and soak in the bold spirit of 1940s New Orleans. Combine all ingredients with ice in a cocktail shaker. Shake until very cold and pour into a cocktail glass. Add an orange twist for garnish. We agree Derek! 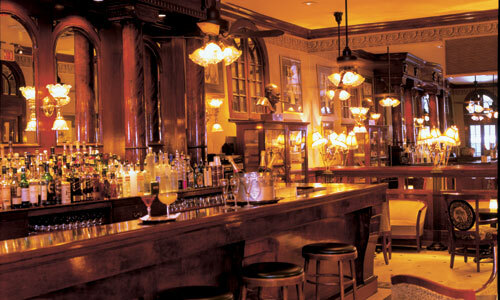 Ever enjoyed any libations or food at Arnaud’s?